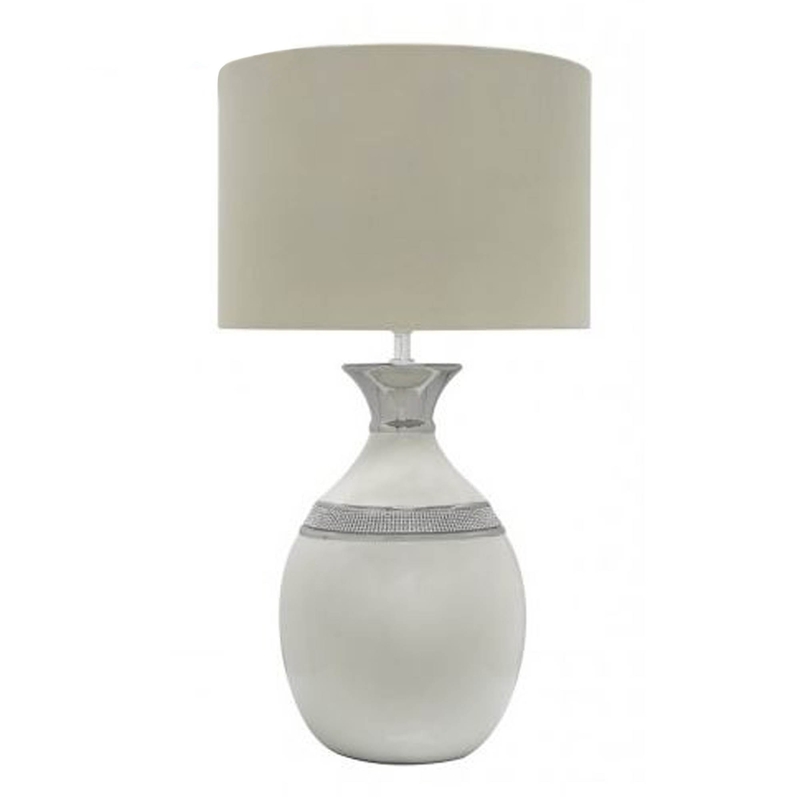 Featuring a charming oval design, this table lamp features a cream finish which has been complemented with a 14-inch faux cream silk shade. Due to its simple but striking design, this table lamp is able to fit amongst any style of interior. Gorgeous in its design, this table lamp will spread light throughout your home, effortlessly in a charming manner. Able to last for generations, this table lamp is a must have for the modern home.